Mountain View police on Friday released the bodycam video of their interaction with the YouTube shooter hours before she opened fire at YouTube's headquarters in San Bruno, California, last week. Anoushah Rasta reports. Mountain View police on Friday released the bodycam video of their interaction with the YouTube shooter hours before she opened fire at YouTube's headquarters in San Bruno, California, last week. Police said Nasim Aghdam was found sleeping in her car on April 3 around 1:38 a.m. 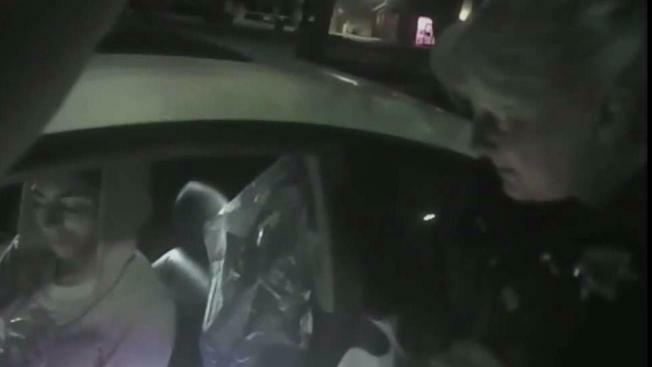 The bodycam video showed Aghdam wearing a pink hoodie and black yoga pants as police asked her if she was the missing person from San Diego. Aghdam told police she left her family and showed police her identification. "I came here two days ago," Aghdam told police. She said she left home because she and her family were not getting along. A Mountain View police officer can be seen and heard asking Aghdam whether she was suicidal or if she wanted to hurt anyone else. Aghdam shook her head and said "No." "We believe that sharing our officers' footage is tantamount to our constant pursuit of transparency. To that end, we are now able to provide the content below, and we thank you for your patience," Mountain View police said in a statement. Shortly after the officers' interaction with Aghdam, Moutain View police said they contacted Aghdam's father who did not mention whether Aghdam was a threat to anyone. An hour after that phone call, Ismail Aghdam called back to say his daugther may have been in the area because she was upset with YouTube and its video policy, police said. Police said there was no recording of the phone calls with Ismail Aghdam because "officers do not routinely record calls with reporting parties or relatives of missing persons." Mountain View police told NBC Bay Area officers didn’t notice any red flags when they spoke with Aghdam hours before she shot three YouTube employees. "In this instance if an individual is cooperative and does not present any sort of threat, continuing to unnecessarily question or delay them can lead to an unwarranted detention," Mountain View police said. A department spokesperson said officers may run names through the registered gun owner’s database in situations when they suspect domestic violence or mental illness, for example. She said because Aghdam didn’t pose a threat, there was no reason for officers to check and see if she owned a gun.